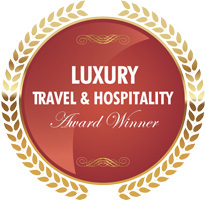 A breathtaking 14 day trip through wetland parks, game reserves, Kosi Bay, sanctuaries, nature reserves and more. With a focus on this UNESCO World Heritage site, iSimangaliso is an untouched wetland paradise of vegetated sand dunes, beautiful coastline, and abundant birdlife. Enjoy the unique diversity of this coastal region before entering into Swaziland to experience some lesser known birding destinations. See below for a day-by-day outline! The Igwalagwala trail, starting at the end of McKenzie Street is very productive for an early morning birding excursion, and is an excellent spot for elusive species such as Buff-spotted Flufftail., Woodward's Batis, Brown Scrub-Robin, Rudd's Apalis, Blue-mantled Crested Flycatcher, Olive Bush-Shrike, Black-bellied Starling, Narina Trogon, Green Malkoha, Livingstone's Turaco, Red-backed Mannikin, Grey Waxbill and Green Twinspot. Care must be taken however not to walk the trail in the dark due to the possibility of Hippo’s on the trail. After birding the trail (+- 3hours in duration) the balance of the day can be spent exploring and birding the eastern shores. Other highly sought after species which occur in this locality are Eastern Nicator, Blue-mantled Crested-Flycatcher, Green Twinspot, Grey Waxbill, Red-backed Mannikin and Black-Throated Wattle-eye (especially within swampy, moist areas) whilst the highly vocal Livingstone’s Turaco are common. African Wood-Owl can be heard calling at night. Overnight St Lucia. Charters Creek, Fanies Island and False Bay form part of this area and with dense woodlands and open shores that are home to numerous bird species. Currently the access is limited to tour operators whom hold a concession for the area, but plans are in place to open this spectacular stretch to the general public soon. Overnight St Lucia. Depart St Lucia for Mkhuze Game Reserve via Hluhluwe Town. En route stop to bird and explore Muzi Pans. Muzi swamps or pans are locally renowned for the abundance of waterbird species that occur here. The swamp is a typical coastal plain wetland with patches of sedge-marsh, open water, bare shores and some floating vegetation. Muzi pans are an excellent area to spot the elusive Pel’s Fishing-Owl, Lesser Jacana (uncommon), African Openbill, Dwarf Bittern, Collared Pratincole and more. It is highly advisable to engage the services of the local community bird guide should you wish to make the best of your birding at Muzi pans (see general info on uMkhuze Game Reserve). The road past Muze pan (14km then turn left to uMkhuze Game Reserve) will take you to the Ophansi gate of uMkhuze Game Reserve. uMkhuze Game Reserve is one of the very finest birding destinations in South Africa, with a total list in excess of 450 species. Immediately prior to entering the Ophansi Gate, there is a small stream and an excellent patch of riparian forest which is good for Broad-billed Roller, Trumpeter Hornbill, Eastern Nicator and Crested Guinea fowl. Once in the reserve there are numerous excellent hides which can be visited, especially around Nsumo Pan for waterbirds, and Kubube and Kumasinga hides for Sandforest species such as Neergaard’s Sunbird, African Broadbill, Gorgeous Bush-Shrike and Pink-Throated Twinspot. Overnight Mantuma Camp, Mkuze Game Reserve. 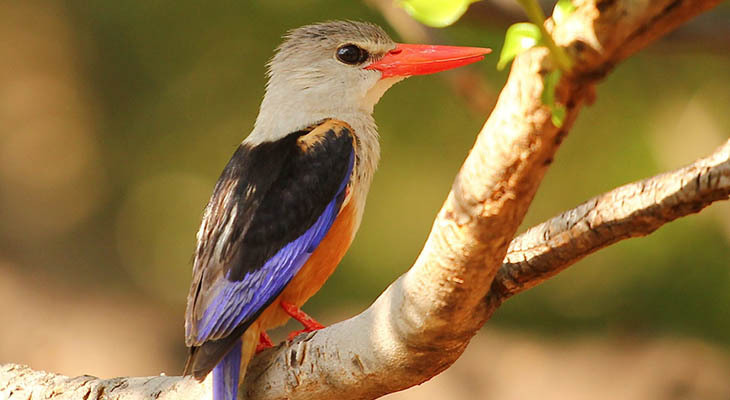 A further days birding can be enjoyed in uMkhuze Game Reserve. The reserve supports a wide diversity of eco-systems, which in turn supports a wide diversity of Fauna and Flora. The main habitats in this protected area include pans, swamps, Acacia thornveld, Sand Forest, Riverine Forest and open Woodland. It is highly advisable to take your time and explore the reserve and the various hides situated within uMkhuze. Also highly recommended is the guided Fig Forest in the morning, and this walk can produce the following; White eared Barbet, Black-bellied Starling, Trumpeter Hornbill, Black-throated Wattle-eye, Scaly-throated Honeyguide, African Yellow White-eye, Brown-headed Parrot, Green Malkoha and Broad-billed Roller. Other specials for uMkhuze Game Reserve include: Stierling’s Wren-Warbler, Pink throated Twinspot, African Broadbill, African Barred Owlet, Retz’s Helmet-shrike, Crested Guinea fowl, Bearded Scrub-Robin, Green-capped Eremomela, Green Malkoha, Southern-banded Snake Eagle, Black Bellied Starling, African Hawk Eagle and much more. For nocturnal species the reserve offers night drives departing from the main camp. Overnight Mantuma Camp, Mkuze Game Reserve. Kosi Bay lies in the north eastern corner of South Africa, very close to the South African/ Mozambican border. Kosi Bay consists of n estuary, four linked lakes running from north to south behind a large dune, and the lagoon of the Siyadla River where it flows into the southernmost lake. 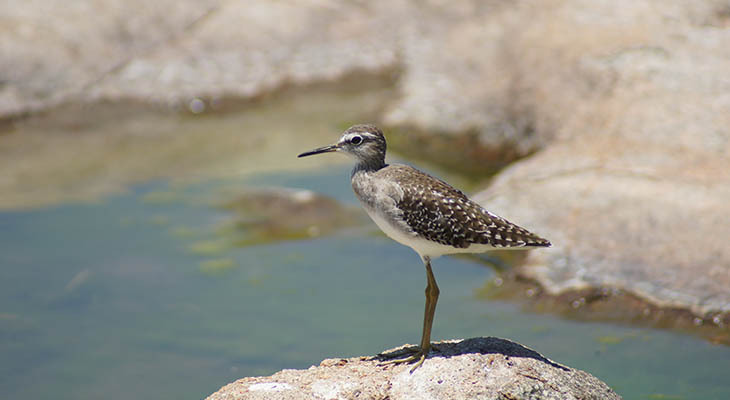 Of most interest to birders are the conservation areas of coastal and dune forests, grasslands and wetlands that are found around Kosi Bay that play host to a selection of east coast littoral species. The Raffia Palm forest at Kosi Bay is almost guaranteed to provide sightings of Palm-nut Vulture, and a boat cruise on the lakes and channels of the lakes can be very rewarding. Overnight Kosi Bay. Tembe Elephant Park is situated in the north-eastern region of KwaZulu Natal, adjoining the Mozambique border, and is 300 square kilometers in extent - making it the third largest game reserve in KwaZulu Natal. Apart from the “Big Five”, Tembe also supports a wide diversity of Fauna and Flora, including the rare and elusive Suni antelope. 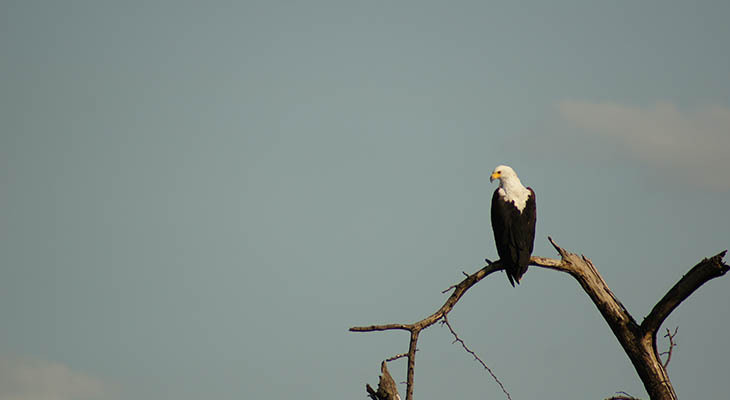 Tembe is a bird-watchers paradise, with more than 340 species recorded in the park , including specials such as Rudd’s Apalis, Neergaard’s Sunbird, Pink-throated Twinspot, Rufous-bellied Heron, Natal Nightjar, Woodward’s Batis and Palmnut Vulture. 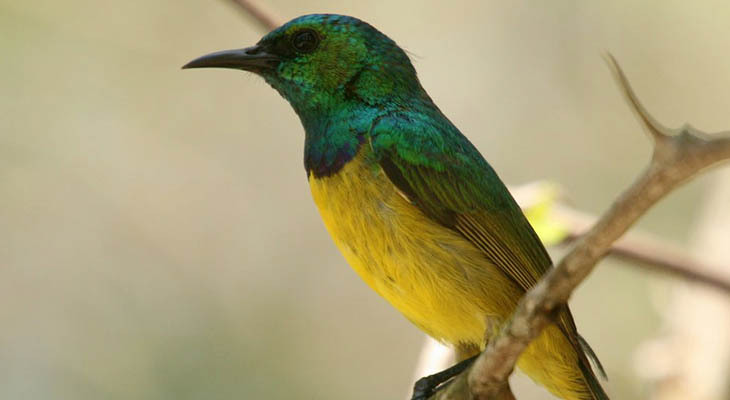 Tembe is also revered as one of the only places in South Africa where you will have a reasonable chance of ticking the Plain-backed Sunbird. Two hides and picnic sites are available for visitors, however the hides are better suited to the viewing of megafauna in the form of the very large Elephants for which this reserve is famous for. Should your focus be on finding the Plain-backed Sunbird, then the two best routes within the reserve are the Gowanini loop and the Masiswane route, especially where climax Sand forest is found (look out for exceptionally tall Lebombo Wattle trees that form a canopy over the road). A patient vigil should reward you with a glimpse of this small Sunbird. Apart from Sand Forest other habitats found in this reserve include coastal grassland and marshes. Overnight Tembe Elephant Park. Ndumo Game Reserve is situated on the banks of the Phongola and Usutu river and lies adjacent to Mozambique on the northern coastal plain. Despite its relatively small size (about 9000 ha), Ndumo Game Reserve is one of the most attractive game reserves in southern Africa. Ndumo is arguably one of South Africa’s most productive birding areas, with well over 400 species being recorded here and several of them being at the southernmost limit of their range. Specials for Ndumo include: African Pygmy-Goose, Southern Banded Snake-Eagle, African Cuckoo Hawk, European Honey-Buzzard, African Finfoot, Black Coucal, Pel's Fishing-Owl, Narina Trogon, Broad-billed Roller, African Broadbill, Eastern Nicator, Rudd's Apalis, Burnt-necked Eremomela, Black-throated Wattle-eye, Gorgeous Bush-Shrike, Retz's Helmet-Shrike, Woodwards' Batis, Neergaard's Sunbird, Long-toed Lapwing and Pink-throated Twinspot. A further day in Ndumo is recommended, as a single day would not do justice to the quality birding available. Overnight Ndumo. This small game reserve consists mainly of thornveld and dry bushveld, which supports a number of species not normally found in Zululand’s “wetter” reserves. Olivetree Warbler are fairly common in summer, and Burchell’ s Starling and Magpie Shrike, which are absent further south are common in this reserve. Although the only accommodation within this small reserve is a camping site, there are numerous private lodges in the surrounding area with that will offer a similar bird list. Overnight Lodge at Phongola. Depart South Africa and enter Swaziland through the Golela border post and proceed to Hlane Game Sanctuary. The largest protected area in the Swazi Kingdom, Hlane (22000-hectare) also borders on Mlawula and Mbuluzi to collectively offer an extensive tract of bushveld which supports the highest density and diversity of raptors in Swaziland. The park has a network of game viewing routes and facilities including a hide from which birding can be undertaken. 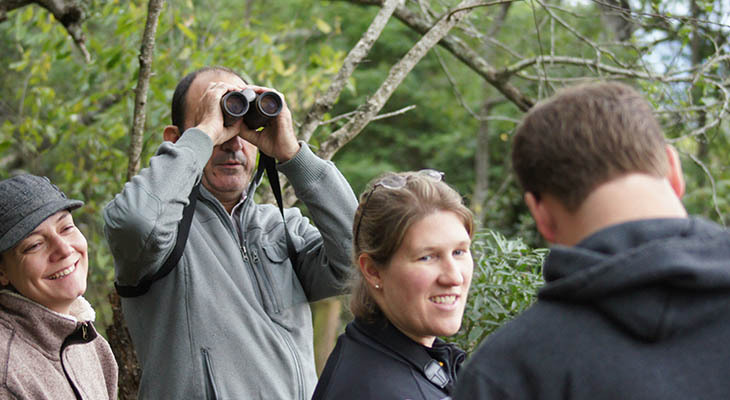 Birding walks with guides is also on offer from the main camps, and one can expect to see around 100 species in a full days birding during spring/early summer. Specials for Hlane include: White-backed Night-Heron, Marabou Stork, Martial Eagle, African Crowned Eagle, Black Sparrowhawk, White-headed Vulture, Bennett’s Woodpecker, Bateleur, African Finfoot. Overnight Hlane. 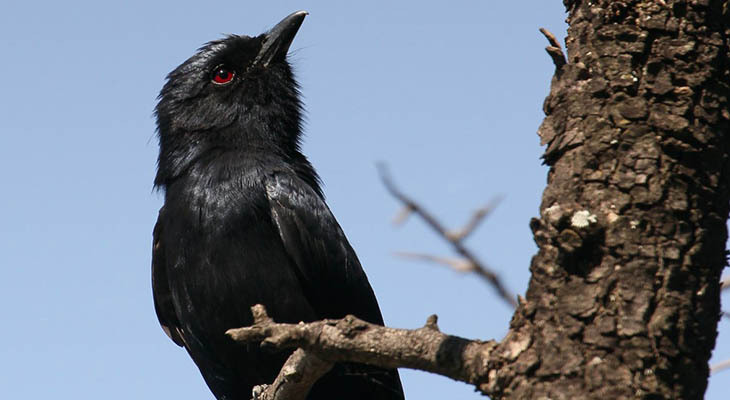 Bird-watching at Mlawula is particularly rewarding and the reserve is renowned for its high bird diversity. The reserve of 16 500 hectares comprises the Lubombo Mountains and adjacent lowveld plains, and is bounded by Mozambique to the East, Shewula Game Reserve to the north, and Mbuluzi and Hlane reserves to the west. It boasts a bird list of over 350 species including a number of 'specials' difficult to see elsewhere in the country. Acacia savanna covers most of the flat Siphiso Valley where game species concentrate in high densities. To the east of the Siphiso Valley lies the Lubombo Mountains. The slopes of these mountains are covered by broadleaved woodland, while the drainage lines support moist thickets and ironwood forest. Woodland gives way to open grassland and rocky outcrops on the plateau. Overnight Mlawula. The small town of Piggs Peak is situated in the far northwest corner of Swaziland. It is a small forestry town and is named after William Pigg, an early prospector who found a gold reef here in 1884. This site was mined until 1954. Visitors to Piggs Peak can view the Ngwenya Mine, which at 43,000-years old is regarded as one of the world's oldest. Ancient people dug this mine for specularite and haemetite, which they then used in cosmetics and for religious rituals. Over 230 species of birds are found in the forests and grasslands surrounding Piggs Peak, with specials such as Narina Trogon, Southern Bald Ibis, Purple Crested Turaco, African Wood Owl and many more species. Most of the forest species can be seen on a visit to Phoponyane Falls. Proceed on to Malolotja Nature Reserve. Malolotja Nature Reserve is a fairly small (1800 hectares) reserve situated approximately 30km from the Swazi capitol of Mbabane. The reserve is incredibly scenic, and lies on the edge of the Drakensberg escarpment with altitudes ranging from below 800m to above 1800 m above sea level. This variance in altitude allows for a variety of habitats including montane grassland, gorges, rocky slopes, wetlands and patches of mist belt forest. Malolotja is also home to a few pairs of the critically endangered Blue Swallow, whom nest in the disused Aardvark burrows during summer. Overnight Malolotja. A further day of birding can be enjoyed in Malolotja. Specials for the reserve include: Southern Bald Ibis, Striped Flufftail, Denham's Bustard, Black-winged Lapwing, Knysna Turaco, Narina Trogon, Ground Woodpecker, Blue Swallow, Buff-streaked Chat, Chorister Robin, Brown Scrub-Robin, Orange Ground-Thrush, Broad-tailed Warbler, Short-tailed Pipit and Gurney's Sugarbird. Overnight Malolotja. Spend the morning birding Malolotja Nature Reserve before returning to South Africa via Matsamo Border post (if heading off to Mpumalanga, Kruger National Park or the Kruger Mpumalanga airport close to White River in Mpumalanga).